The new release of TCMS V2.2.008 is designed to resolve software bugs and to add some new features. A. 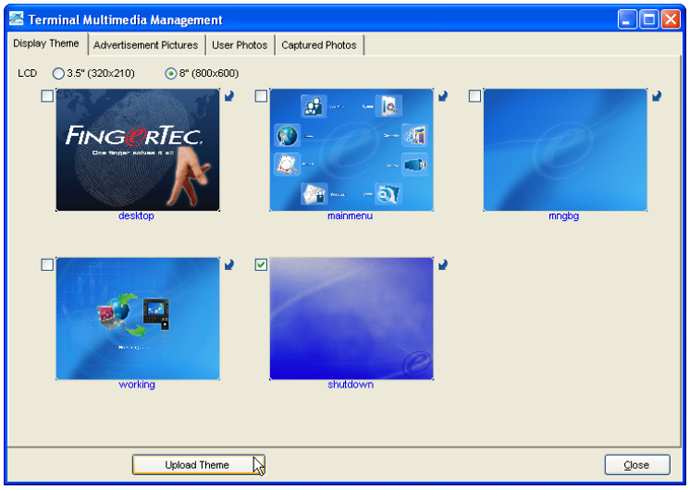 New installation of TCMS V2.2.008. Please click here. This release solves 2 software bugs in the software. 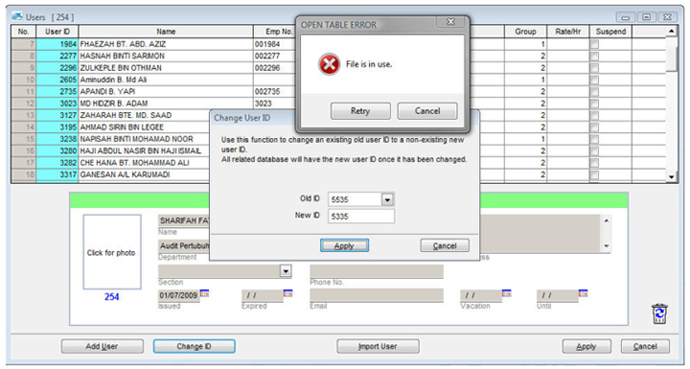 In the previous version, you could see an error message appearing when you try to change a user ID in the software. 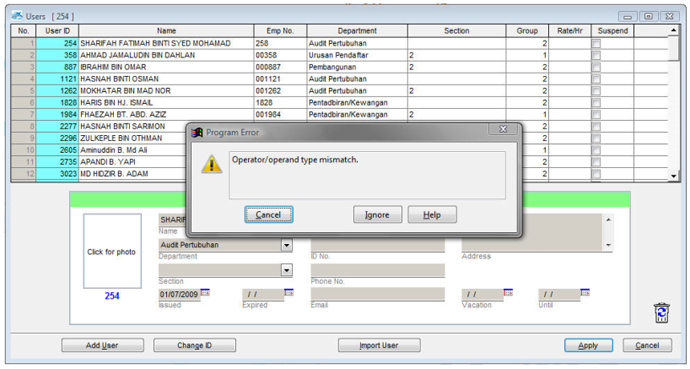 When you try to merge a same user with different ID using the previous version, you will see the error message as shown below. By upgrading the TCMS V2 to the latest version, this problem could be resolved. Face ID 2 and TA100C models are the latest models loaded with new algorithm BioBridge VX10.0. The data structure of USB data from these models is different from those with BioBridge VX 9.0. The older version of TCMS v2.2 cannot read the new data structure from USB flash disk (pen drive). 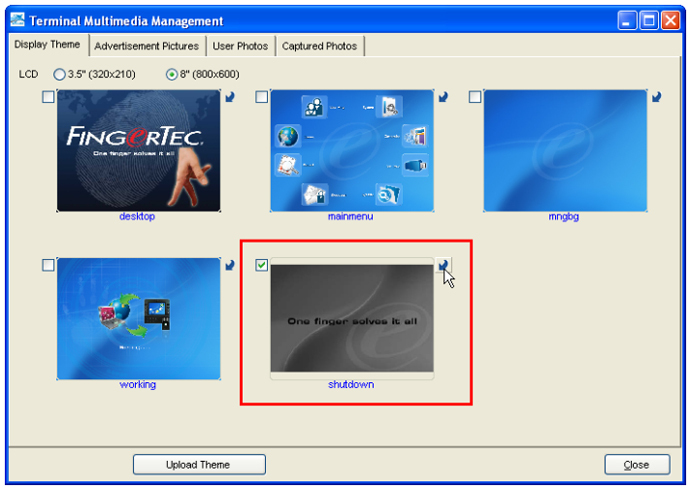 You will view the screen as below if you try to download users via USB flash disk. The new TCMS v2.2.008 is added with this new feature, and you can download/upload data via USB flash disk easily with Face ID 2 or TA100C. 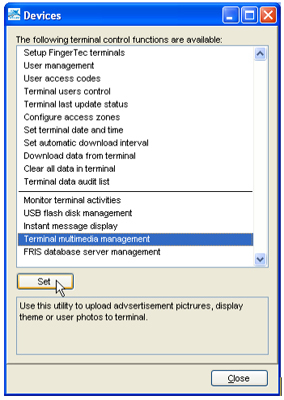 The new version of TCMS v2.2 allows administrator to upload advertisement photo or company advertisement to the i-Kiosk 100 Plus. These photos or advertisements will be shown on the LCD screen one picture at a time. Step 1, Choose Terminal Multimedia Management and click on Set button. Step 3, Choose the photo you want to change from the device and click on the arrow icon. 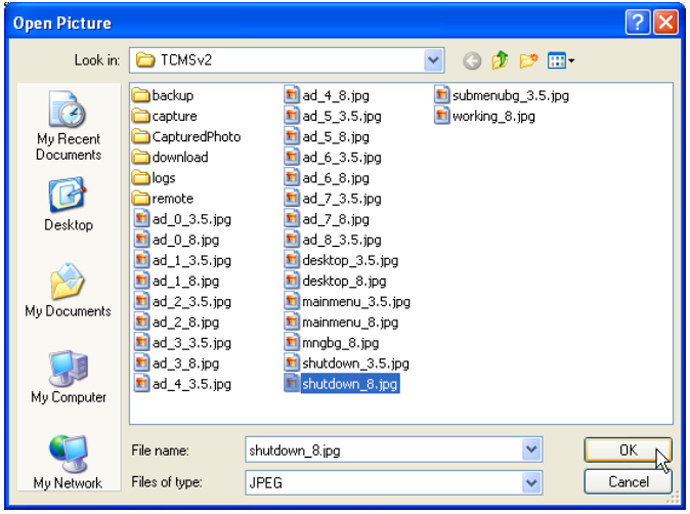 Step 4, An “Open Picture” folder will appear. Choose the photo from the location and click “OK”. Step 5, Click “Upload Theme” to upload the new photo into the device. When all the process is done, click “Close” to return to the main menu.